Are you in need of quality trucking, warehousing, and logistics services in Elgin? JRC dedicated trucking can provide an improved access and control over the operation and supply chain inventory and shipments. With the complete capabilities that a business needs, JRC can take any company to the next level. JRC offers unique, cost-effective, and innovative solutions to ensure that the most important products are tracked closely from storage to shipping. JRC has invested heavily in a comprehensive wireless warehouse management system. This innovative system of technology will track every piece of inventory to ensure that every product is accounted for. This state of the art technology provides clients with real-time inventory visibility, the ability for customers to order online, key inventory tracking, and carton or pallet tracking for LIFO or FIFO inventory. For those who desire short-term warehousing in Elgin for a flat fee, there are certainly shared warehousing choices that exchange storage space for a monthly contract priced by the square foot. Furthermore, JRC will provide the equipment and labor required to move in and out. Many people come with special items that are fragile, oversized, or otherwise merit special protection. The staff has the essential expertise required to provide the proper care to these items. Featuring the latest tools and equipment, the JRC warehouse can accommodate everyone with Elgin cross deck services. Trucking Services You Can Undoubtedly Trust. Clients who partner with JRC have access to a dedicated private fleet in Elgin. This full-service feature provides unique features such as same-day rush delivery, overnight FTL and LTL delivery, and the highest quality trucking services that Elgin has to offer. JRC knows that clients come with a unique set of orders that demand a myriad of trucking options. At JRC, there are a wide variety of trucking sizes that clients can choose from. At JRC, customer service is the number one priority. Clients depend on a punctual delivery service. Therefore, JRC customizes every service by skid, time, spot quote, or cwt regardless of the order volume. Our short-haul Elgin trucking services offer seasonal storage and cross-docking services. Regardless of the requirements, JRC has the latest equipment and most experienced professionals to provide clients with the most reliable warehousing and transportation services available with the complete logistics services in Elgin. With a central location offering all services, clients can rest easy with JRC’s distribution hub. 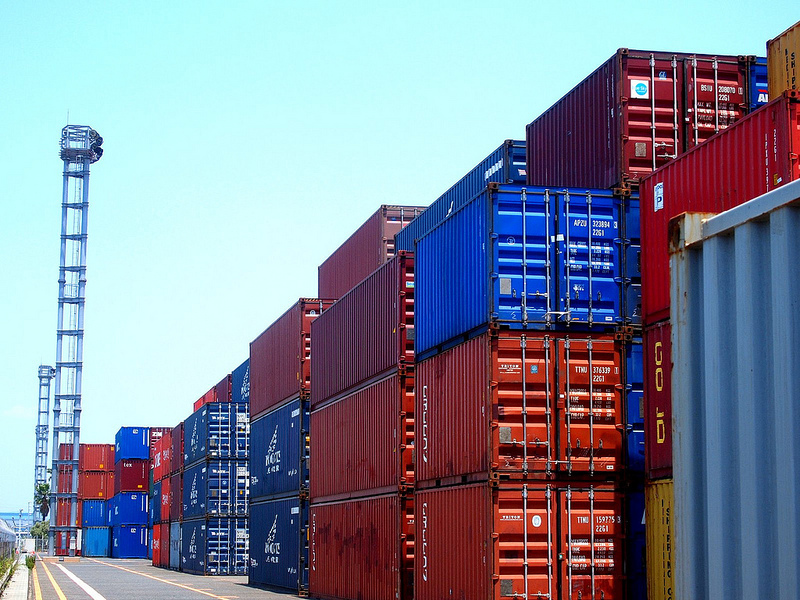 These logistics services include complete service for rail yards, key provisions for port locations, and complete container services including delivery, devanning, and distribution for clients, regardless of point of origin. With access to numerous tractors, trailers, LTL and FTL shipments, JRC offers more than just a large warehouse. With the full-service from JRC, every client is in capable hands. To benefit the most from our services, you can combine them for a complete solution, including short haul trucking, cross docking, and temporary warehouse space in Elgin. We can give you everything you need for efficient and cost-effective operations, meeting your specifications. With one or more of our services, you’ll be able to see the benefits and get the most out of your investments. JRC is a premier logistics company offering short-term storage, inventory control, and same-day delivery. Managed logistics in Elgin will keep every business on time and running efficiently. Clients can track both transactions and inventory in real-time, improving transparency. Contact JRC today for a full-service Elgin warehousing solution and more that prioritize customer service, reliability, and efficiency. JRC is ready to provide its assistance today.